The graduate program in Visual and Cultural Studies is an active research community. Here are some of the current research projects that the VCS affiliated faculty and fellows are working on or have recently completed. Rachel Haidu, Director of VCS, is finishing a book manuscript entitled The Shame of the Self, about ways that contemporary art—video, dance and painting—are describing emergent conceptions of selfhood. At the same time, she is undertaking her third book project, Abstraction and Authority, about contemporary video practices in Central and Southeastern Europe that fold in legacies of modernist painterly and sculptural abstraction. Both projects treat the line between figuration and abstraction as a key means for thinking the politics of the body, the subject, and collective history. Photo: Artur Żmijewski, Them (2007). 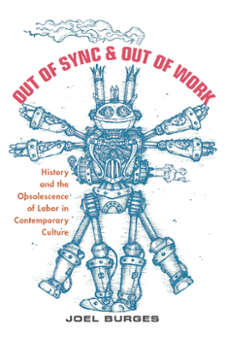 The question of time animated the first two book projects of VCS Steering Committee member Joel Burges: a collection of 20 keyword essays, edited with Amy J. Elias, entitled Time: A Vocabulary of the Present (New York University Press, 2016), and a book entitled Out of Sync & Out of Work: History and the Obsolescence of Labor in Contemporary Culture (Rutgers University Press, 2018). His next book is entitled Literature after TV. It charts how watching television, the most significant mass medium of the second half of the twentieth century, changed how playwrights, novelists, and poets wrote from the 1950s to the present. He is also currently researching the ways of seeing and modes of subjectivity produced by mass incarceration and the “deep state” in photography and film. Finally, with Josh Romphf (UR) and Nora Dimmock (Brown), he is preparing to make a moving image annotation tool called Mediate available to the public soon. 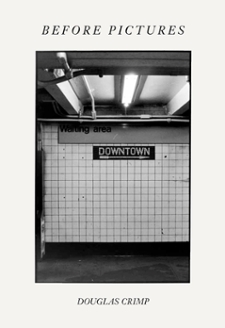 VCS Steering Committee member Douglas Crimp recently published Before Pictures, a hybrid memoir and cultural history of New York City from 1967 to 1977. He also recently completed several catalogue essays: “Four Events that Have Led to Large Discoveries (about Merce Cunningham),” for The Walker Art Center’s Merce Cunningham: Common Time; “WAR IS TERROR,” for MoMA’s Louise Lawler: Why Pictures Now; “Archives of Femininity,” for the National Gallery’s Outliers and American Vanguard Art; and “Zoe’s New York,” for MOCA’s Zoe Leonard: Survey. Crimp’s current work is on dance films, including those of Babette Mangolte, Trisha Brown, Yvonne Rainer, Anne Teresa de Keersmaeker, and Charles Atlas. VCS Steering Committee member Kate Mariner recently published an article in Ethnos: Journal of Anthropology entitled “The Specular Un/Making of Kinship: American Adoption’s Penetrating Gaze,” based on material in her forthcoming book Contingent Kinship: The Flows and Futures of Adoption in the United States. This ethnographic work suggests that adoption is a form of speculative kinship produced through complex modes of anticipation, observation, and investment structured by enduring social inequities. She is currently preparing to embark upon a new community-based participatory research project in Rochester examining the politics of race, space, and social inequality. VCS Steering Committee member Jason Middleton, from the English department, is currently writing an article on Chris Marker’s Letter from Siberia and Tobe Hooper’s The Texas Chainsaw Massacre. In addition to this project, he is also completing a book manuscript project, Volatile Visions: Process and Decay in Film and Video. VCS faculty member A. Joan Saab, another steering committee member, is working on a collaborative 3D architecture project, “Animating the Archives: Claude Bragdon and American Architecture,” with an interdisciplinary team of researchers from the University of Rochester. 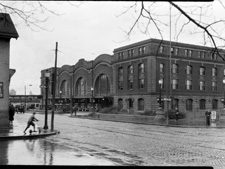 The project aims to recreate Bragdon’s masterpiece, the Rochester train station, as a virtual, interactive 3D model, layered with historical documents, letters, and video testimonials. The Democrat and Chronicle, Rochester’s local newspaper, covered the project in 2013. VCS-affiliated faculty Peter Christensen is currently engaged in two research projects. 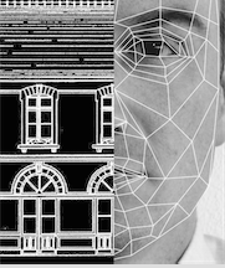 One, a project called Object Biometrics, is the research and development of a platform that applies biometric techniques to the study of buildings and objects. A pilot project for this platform is be the subject of Christensen’s recent book, Germany and the Ottoman Railways: Art, Empire, and Infrastructure (Yale University Press, 2017). Christensen is also in the early phases of a large research project on ecology and the early international steel industry. Lihong Liu, Assistant Professor of Art History and VCS-affiliated faculty, is finishing her book manuscript The Real Scene: Landscape, Ecology, and the Matter of Painting. 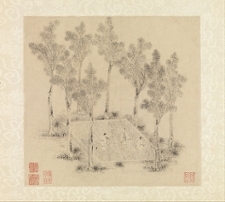 In this project, Liu deals with a fundamental issue of Chinese landscape painting, shijing (lit. “real scene”), and opens a new discussion about the interrelationship between art and world. Liu has also worked extensively on a second book-length project on the use of crystal glass in the arts and everyday objects and spaces in the early modern world, in which she investigates how this novel and eventually ubiquitous medium evolved to manifest a material transculturalism by evoking immaterial imagination. VCS-affiliated faculty Llerena Searle is beginning a new research project that shifts her focus from the political economy of Indian real estate to the political economy of home spaces. Her research investigates the ways in which growing markets in home products (paint, furniture, modular kitchens, etc.) 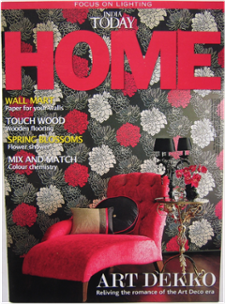 and media about homes fuel changes in material culture, domestic practices, and gender and class ideals.